Set against the coming of Christianity, this is the story of the last hero: in 507, a monstrous troll wreaks havoc in the mead hall of the Danish king, Hrothgar. He offers rewards for the death of Grendel, so Beowulf, a great and boastful Geat warrior, arrives with his thanes. Beowulf sets aside his armor and awaits the monster; a fierce battle ensues that leads to Beowolf’s entering the watery lair of Grendel’s mother, where a devil’s bargain awaits. 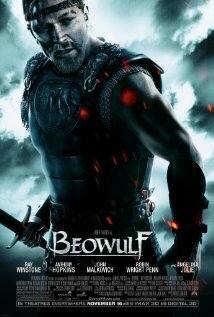 Beowulf returns to Herot, the castle, and becomes king. Jump ahead many years, and the sins of the father are visited upon Beowulf and his kingdom. The hero must face his weakness and be heroic once again. Is the age of demons over? “Chop Shop” follows a group of car thieves in Los Angeles as they rise from the criminal underground to become big-time international players. Two FBI agents pursue members of a radical hacker collective after they steal a powerful cyber-weapon.